OUR CORNER BOARDS are manufactured in lengths of 12+” and are packaged on wooden pallets. N.A.L. Company, Inc.’s commitment to recycling extends through all our packaging product lines. 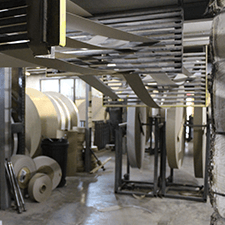 Our protective packaging products are manufactured from recycled fibers, approximately 80% of which is post-consumer fiber and 20% of which is pre-consumer fiber. 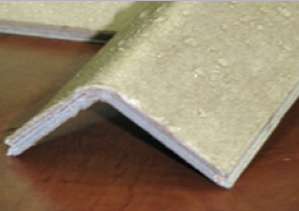 All surface and corner protection products are 100% recyclable, and in some cases can be used more than once. N.A.L. Company, Inc.’s products provide protection with a minimum amount of packaging material, making them a natural choice for source reduction. 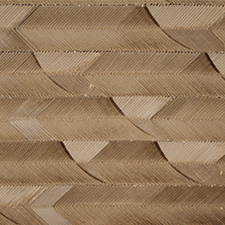 Corner Board is a highly demanded and utilized product that solves a wide range of packaging challenges. 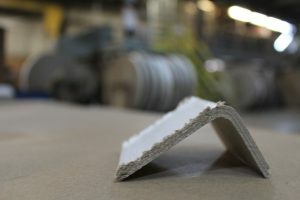 Made by laminating recycled paperboard into a rigid right-angle shape, Corner Board provides edge protection as well as load containment, stabilization and uniform weight distribution throughout the transportation and storage of the finished product. There are a variety of sizes, configurations, and options available. Standard printing dies as well as and custom printing graphics are available and it provides an added marketability to your product. The Corner Board is versatile, practical, and cost effective, offering unmatched performance in comparison to other products in today’s marketplace. 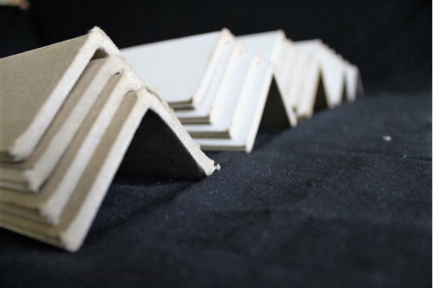 Edge Protectors are a shorter version of our Corner Board product, developed under 12 inches in length and packaged in boxes.. The product may range from 2 inches in length to 12 inches, and provides targeted profile protection from the damage caused by cargo straps during the process of shipping and storing of palletized loads, or stacked products. Standard and custom print options up to 3 colors, is available for the Edge Protector product. Custom leg lengths may also be manufactured for special applications. Please contact us for specific information. 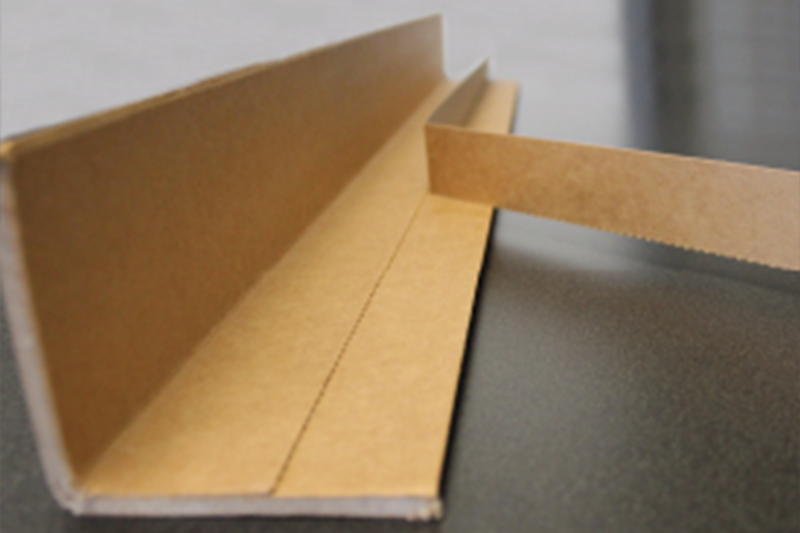 Corner Board Perforation Placement System, or CPPS™, patented and trademarked, is made of laminated sheets of paperboard, formed into a 90˚ angle with a perforated, partially delaminated paperboard located inside the corner board. 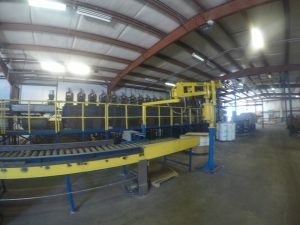 The product allows tearing motions to create a tag, or ear-flap that will protrude perpendicularly to the corner board, then sandwich between two products to hold the corner board in place while the full product is packed for shipment. By applying CPPS™ to packaging products, users can save time, resources, and improve safety functions. With the development of this product, we managed to create a product exceedingly useful for manufacturing and packaging industries that had not been developed before. 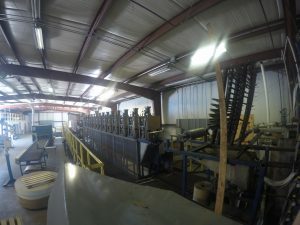 This product produces very little scrap, occupies very little time, and is cost effective without producing safety issues or ergonomic hazards. 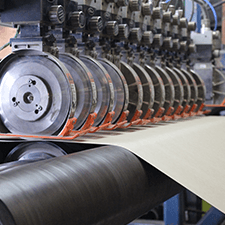 Non-woven substrate add-on to corner and edge protection utilizes the protective strength and adds an abrasion-resistant cloth to protect delicate finishes from scuffing and scratches that can occur in shipping and handling. Non-woven edge protection is widely used in furniture, appliances, painted or highly polished products. The interior legs of the edge protectors can have a special cloth abrasion-resistant material leaving a soft surface against the product. 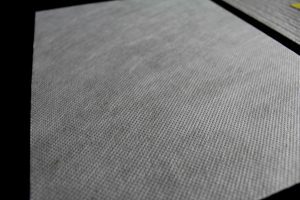 The Non-woven material also can be applied to other N.A.L. Company, Inc. product offerings. 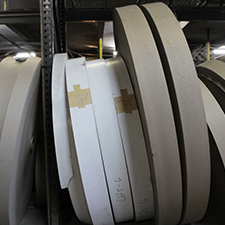 Nomar coating add-on to corner and edge protection utilizes the protective strength and adds an abrasion-resistant coating to protect delicate finishes from scuffing and scratches that can occur in shipping and handling. Nomar coating edge protection is widely used in furniture, appliances, painted or highly polished products. The interior legs of the edge protectors can have a special abrasion-resistant coating leaving a smooth surface against the product. 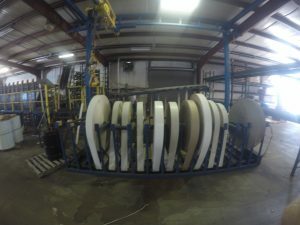 The Nomar coating material also can be applied to other N.A.L. Company, Inc. product offerings. WeatherGuard Corner Protectors feature a moisture-resistant coating inside and out which repels penetrants such as water, oil, and grease while maintaining your factory coatings protecting the parts from corrosion. Why buy other products that only claim to protect from one element at a time, when you can solve all you moisture problems with one product, WeatherGuard. This product develops a water bead that rolls off before it can absorb and cause damage. WeatherGuard maintains product stacking integrity in applications where water, oils, grease, humidity and condensation are present. These corner protectors are particularly useful for load stabilization while shipping fruits, vegetables, and other foods. WeatherGuard can be applied to all lines and dimensions of corner protectors. It is available in a kraft color and can be applied to both sides or only one side of the corner protector. Here is a little insight into our process. See how we make our other products below. NAL Company’s vast warehouses of various roll stock helps control the market fluctuations. By adding or removing various caliper rolls we can change the caliper on the fly. 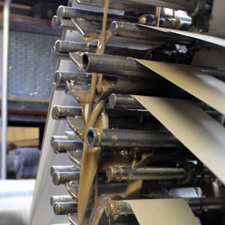 All paperboard plies are adhered using our long standing family adhesive recipe. Our multi-angled forming presses allow for a precise 90-degree corner protector angle instead of a rolled apex like competition. 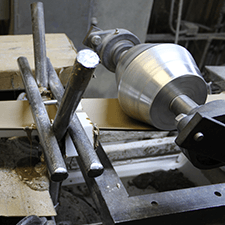 The master lengths of corner protectors are first produced into billet lengths while they pass through our 8 step quality assurance inspection. 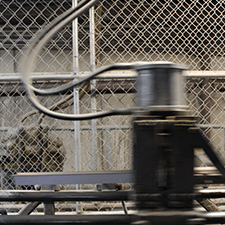 Precision cutting, stacking and pallet unitization are the final steps before our product is ready for shipment.